Tours: $10 each (in addition to Symposium registration) - Registration is separate. Happy Hour: Registration is separate. Donations welcome! Note that $100 Chapter Membership covers the difference between the non-member and member rates! Registration will close when we all seats are sold out - reserve yours today! See the schedule, session and tour descriptions, and speakers in the program below. Registration on the day of the Symposium opens at 8 AM. We encourage purchasing tickets as soon as possible, as the event has sold out in prior years. You will receive your name tag the morning of the Symposium at registration. Your name tag is your ticket into panel sessions. Sessions are filled day-of on a first-come, first-served basis. The Expo is available throughout the day and we encourage attendees to stop by during the Registration/Breakfast hour, the morning break, and lunch. Our sponsors help to make the Sustainability Symposium possible! Light breakfast, coffee, and tea will be available between 8 - 9 AM in both Penn State at The Navy Yard Buildings, 661 and 7R, and throughout the morning hours. Lunch will be provided to all registered participants. A variety of sandwiches w/ chips and fruit will be served. Vegan, vegetarian, and gluten-free options will be available for breakfast and lunch. Philadelphia Catering staff will be on site to help you with your meal selection and options for dietary needs. Drinks and food can be taken into all classrooms. Please feel free to enjoy breakfast and lunch in any classrooms, or anywhere there is indoor or outdoor seating. For Symposium attendees, we invite you to join us directly after the conference for a happy hour! You will need to register separately to attend the Happy Hour. Donations are always appreciated and help support the ongoing work of Green Building United! Friday, 05/03/2019 - 4:30pm - 6:30 pm, immediately following the Symposium. Acid Bath, URBN, Building 543, 500 S Broad Street, Philadelphia, PA 19112. The location is about 5 blocks from Penn State at The Navy Yard. See map. By Foot or Car: Take Kitty Hawk west 3 blocks to 15th St, turn left and head south 1 block to Flagship Avenue. Turn right on Flagship Ave. and then the first building on the left/south is Building 543. Turn left after the dry dock. Walk along the east side of the building to the 2nd entrance/Market entrance. URBN's Acid Bath room will be immediately on the right (there is ample outdoor seating outside of the Acid Bath room). If driving, there should be available parking on the south side of the building, continue past the Acid Bath Room until you find parking. The Sustainability Symposium can be reached by various means of transportation. See below for specific directions. The Navy Yard Center City Express Shuttle or Broad Street Line Subway & The Navy Yard Loop Shuttle will take attendes right to Penn State at The Navy Yard. For more information and schedules visit The Navy Yard's Shuttle webpage. Both shuttles stop at the corner of Kittly Hawk and 12th Street, where Penn State at The Navy Yard located. It's recommended to take the 7:50, 8:10, or 8:30 Express Shuttles or to connect from the Broad Street Line to the Loop Shuttles. For directions to The Navy Yard visit The Navy Yard's Direction webpage. Once at The Navy Yard Broad Street gate*, continue south on Broad Street until Kitty Hawk. Turn left on Kitty Hawk and then turn left on 12th Street. 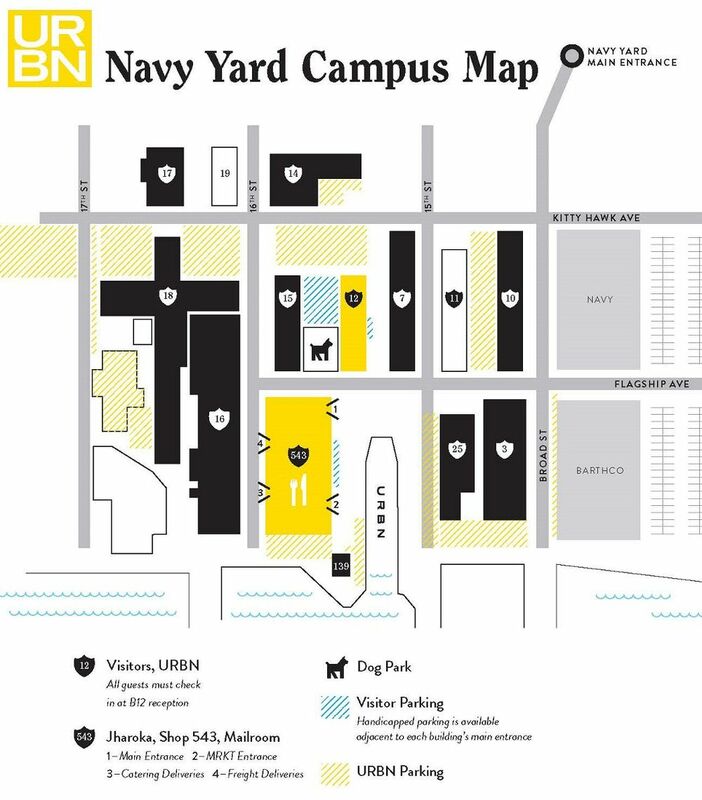 Penn State at The Navy Yard is at 4960 South 12th Street and registration is in both buildings on 12th Street. A map of the Navy Yard is also available. There is plenty of free and available street parking in The Navy Yard and Green Building United recommends that drivers use street parking. Additionally, there is one parking lot available by PIDC for use by Symposium attendees about two and a half blocks from the Penn State buildings. The parking lot is slightly south of the intersection of Normandy Place and 13th Street, across from the PIDC building. The parking lot in front of Penn State at The Navy Yard is NOT available for use. Penn State at the Navy Yard has two buildings, 661 and 7R. Building 661 is on the west side of 12th street between Kitty Hawk and Constitution, and Building 7R and League Island Park are on the east side of the street. Building 661 includes the Expo, Room 107, Room 201 and Room 202. Building 7R includes Room 103, Room 209, and Room 211. *Please know that parts of The Navy Yard will be in preparations for the Broad Street run on Sunday, May 5th. This will not result in any road closures or parking issues around Penn State at The Navy Yard. View last year's 2018 Sustainability Symposium program and event information. Interested in sponsoring the Sustainability Symposium? 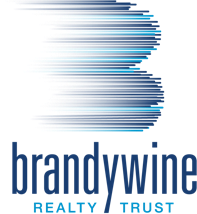 Contact Margaret Salamon, Development Director at 215-399-5799. With special thanks to Jen Tran and Bill Fisher.